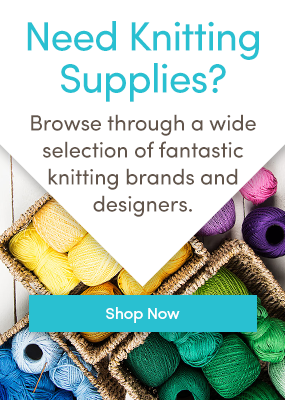 Adding quality photos of your projects will not only improve your appearance in the LoveKnitting community, but if you sell patterns, it should surely help increase your sales. I went over the basics of product photography in Part I so give that a read first if you haven’t had the chance, and then dive in below! If you’ve gotten a good grasp on the composition, lighting, and styling techniques that I discussed in Part I, you’re probably wondering what else you can do to improve your images even further. This article is going to delve pretty deep into photography and camera gear, but hopefully you’ll come out the other side with a lot of knowledge and the ability to take even better photos! As I mentioned in the first article, you can take perfectly acceptable, even great images, with a smartphone or a point-and-shoot camera. While I still stand by that statement (some of my favorite photos were taken on what are essentially point-and-shoot film cameras), there are some benefits you can get from spending a little bit more on some advanced gear. You don’t need to spend much, or have the newest and best camera. In fact, all of the photos I took below were taken with a Nikon D3200, a camera that is almost 5 years old, yet is still very capable of taking great images. If you’re buying your first digital camera, you’ll want to go with something that is very user-friendly like the Sony RX100 or the Canon PowerShot G9 X, both very good point-and-shoots with image stabilization to help with unsteady hands, zoom lenses, and 20.2 megapixel sensors if you want to blow your photos up in size. If you’ve already owned or currently own a point-and-shoot and want to get something with a bit more manual control, your next move will most likely be a DSLR or a mirrorless camera. These cameras usually have interchangeable lenses an full manual control of the aperture and shutter speed. A few great entry level cameras are the Fujifilm X-T10 , the Nikon D3300 , and the Canon Rebel T5 . So what advantages do these cameras give you when taking photos of your projects? Well for one, the ability to control the aperture of the lens means that you get that smooth out-of-focus area (photographers call it “bokeh”). They also provide full manual control so that you can adjust all of the settings yourself instead of relying on the camera’s automatic mode. ISO, shutter speed, and aperture all work together with each other to deliver a well exposed, sharp image. In simple terms the ISO setting controls how sensitive the camera’s sensor is to light (think of film speed ASA or ISO if you used to shoot film). The higher the ISO, the more sensitive the sensor becomes. Shutter speed is how long the shutter stays open to allow the light to hit the sensor, and aperture refers to how large or small the ring inside the lens is to adjust how much light gets through the lens. f/1.4 lets in less light than f/4. Another important thing to know about aperture is that the smaller the number (or f/ stop) the smaller your depth of field will be. The means if you’re focusing on a main subject at f/2, you will get an out-of-focus background (often desirable) but if you shoot at f/11, the background will usually be in focus as well as the main subject. Let’s say you’re trying to take a photo of a cushion cover that you’ve made, and these are the settings on your camera: 1/500th sec shutter speed, f/5.6, and ISO 500. Unless you are in a very bright room, or outside in the sun, chances are your photo is going to be too dark as you can see in the photo below. We can adjust any or all of these settings until you get a well-exposed photo. Generally speaking, you don’t want your shutter speed to be any slower than 1/60th of a second or so, unless you have really steady hands or are using a tripod. So let’s start by adjusting the shutter speed to 1/100, a fairly safe speed for even an unsteady hand. This is looking a bit better, but still a little dark, right? Next let’s change the shutter speed to 1/60 and bump up the ISO to increase light sensitivity. ISO 800 seems to be the sweet spot, and now we have a well-exposed photo! Another great setting on more advanced cameras is Aperture Priority. This allows you to choose the aperture, while the camera chooses the shutter speed to make a correct exposure. The reason this is useful is that if you would like to blur the background, you can choose a smaller aperture, and if you’d like everything in focus, you choose a larger one. This way you don’t have to worry about the shutter speed, the camera does that work for you. Now, let’s take a look at exactly how the aperture can change the depth of field, or how much of the background is in focus in your image. In this first photo below, you can see that the background is distracting, and takes away from the main focus of the image (a beautiful scarf WIP from the talented Josephine). This image above was shot at f/14, a very large aperture that allows the background to appear relatively in focus. The image below was taken at f/4, which you can see blurs the background much more, therefore allowing you to concentrate much more on the scarf. Most intro-level cameras have some sort of built-in flash, however there are not many cases where that flash will do a good job. Moving your flash off camera allows you much more flexibility and provides more flattering lighting options. It’s a good idea to get the same brand of flash as that of your camera. For example, Nikon’s flashes have built-in communication to Nikon cameras, so a Canon flash with a Nikon camera wouldn’t be the best option and vice versa. You can buy older flashes used for very reasonable prices that will work just as well as newer ones for our applications here. Once you get your flash off camera, you’ll need a way for your camera to tell your flash when to fire. For this you’ll need a set of wireless triggers like the Cactus Flash Triggers . You put one on the camera, and one on the flash, and voila! A small softbox to go on the front of your flash will help soften the light and reduce sharp shadows in your product images. You can experiment with the flash placement, but a good starting point is to have the flash coming in from an angle left or right of your camera. You can adjust the output of your flash, or the camera’s ISO and aperture to get the correct exposure. Finally, you can purchase some simple white foam boards if you’d like a clean background, or simply use an interesting wooden table or a similar background. Just remember what we went over in Part I about uncluttered images. This is a lot of information, and is really just the tip of a rather large iceberg that is product photography. If you have any specific questions, or want me to dive a bit deeper into anything, please ask away in the comments! I’ll gladly answer them for you, as nothing makes me happier than seeing great images of your products being uploaded in our community! Eric is a photographer, copywriter, rock climber, skier, traveler, and aspiring knitter. His work has been been published in many international newspapers, magazines, websites, books and even a billboard in Brooklyn. Crochet is the best. Last updated: February 8th, 2017. Thank you for the tips and suggestions. I have just begun to take photos of my knitting as a record of what I produce and have unfortunately struggled to date. Was considering the purchase of a camera and now have options to assist with my selection. Thank you for the two articles. My pleasure Kate! If you have any questions before you make a purchase I’d be happy to help! There are countless options out there, and it can be a tricky sea to navigate. Thank you so much for sharing your know-how. If you’re reading this, you’re all set, paenrdr! Fiindng this post solves a problem for me. Thanks! Saya juga amat terkilan dengan situasi ini. Seperti ada sesuatu yang di sebnkmyiuan. Kesian keluarga Teoh. Bagaimana kalau perkara ini terjadi di kalangan keluarga anda? I cannot do Crochet but love Knitting, wondered if it’s possible to put “Knitting” or “Crochet” on the actual Patterns before I open the Patterns? This would make it much easier for me in selecting Patterns? ?